Quite possibly the most beautiful tree in the world.. The Rainbow Eucalyptus has a trunk that shows off multi-colored layers of bark, producing a rainbow of shades. 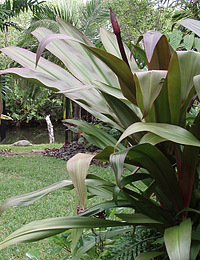 When this tree gets a good dose of water, its trunk will swell, causing its bark to peel off in paperlike sheets- each exposed layer displays a different color- from reds to oranges, greens and purples, even blueish hues. 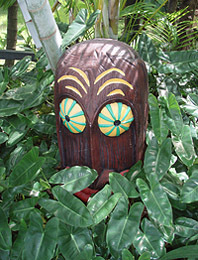 Whats more, the leaves release a pleasant Eucalyptus scent when crushed- I throw them in my hot tub on occasion. 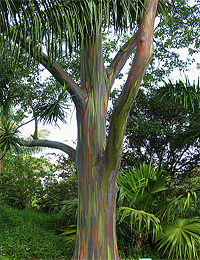 A fast grower, Eucalyptus Deglupta loves sun, humidity and water. Give it a sunny spot with rich organic soil and watch it go. 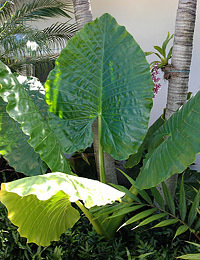 Can reach 60 feet in the tropics, more likely 40-45 feet high in Florida. It’s canopy is lush without being overpowering for plants below. 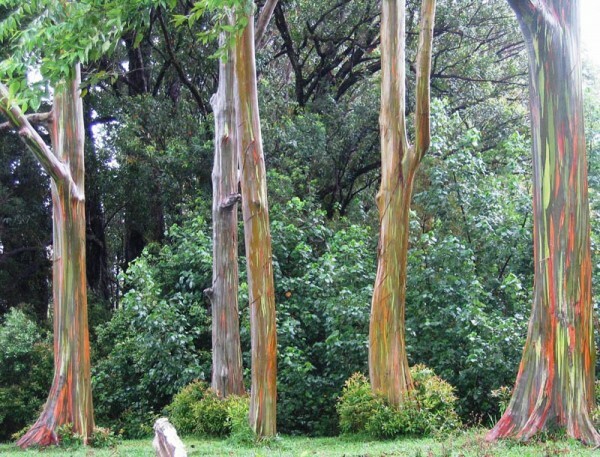 There is a well known grouping of these trees on the “Hana Highway” in Maui. Rainbow Eucalyptus is cold hardy down to the mid-high 20′s. I have two mature specimens in my garden that easily dealt with an overnight low of 25-26F. Beautiful, Unusual, Hard to Find and Highly Recommended! 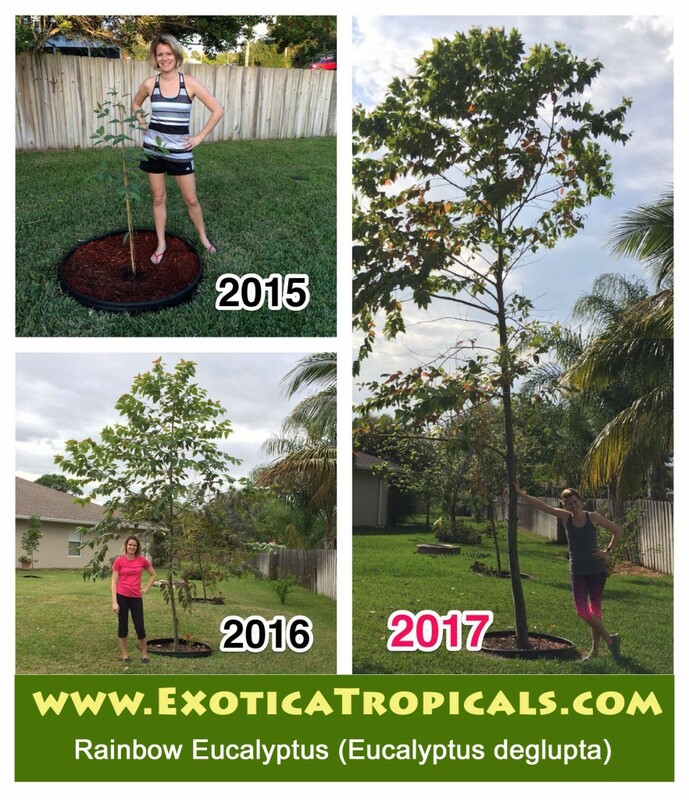 Update FEBRUARY 2018: We HAVE this tree in stock and for sale! 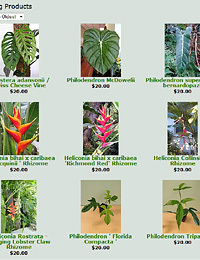 or EMAIL US for larger specimen pickup availability in Melbourne, FL. 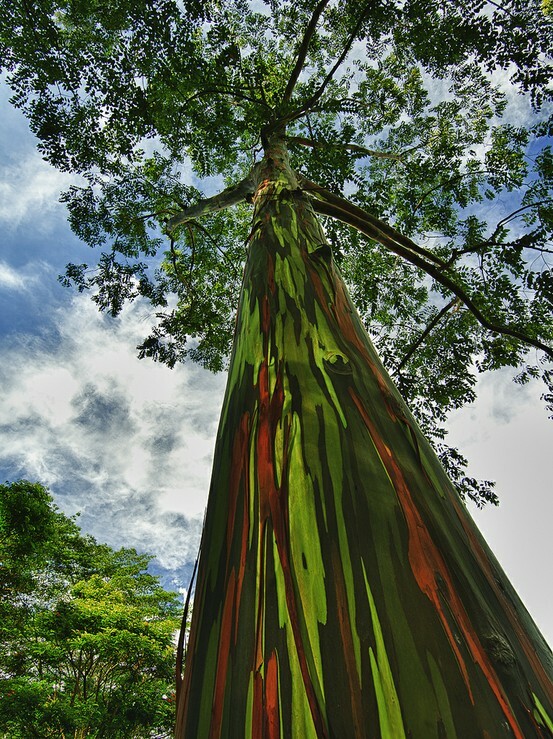 RAINBOW EUCALYPTUS TREES GROW FAST!